The U.S. Food and Drug Administration has issued an update on it’s ongoing jerky pet treat investigation in which more than 1,000 dogs died after eating chicken, duck, or sweet potato jerky-style treats imported from China, with thousands more – including several cats and 3 humans – becoming seriously ill. Although an exact toxin or other cause for the deaths and illnesses has yet to be found, the FDA continues actively investigating the treats and believes that there is, in fact, an association between the reported illnesses and deaths and the treats imported from China. Until an exact reason why these treats have caused illness and death in pets can be found, the products continue to sit on store shelves. The FDA cautions pet parents to talk to their vet before feeding the treats and to monitor their pets closely for any symptoms after eating them. 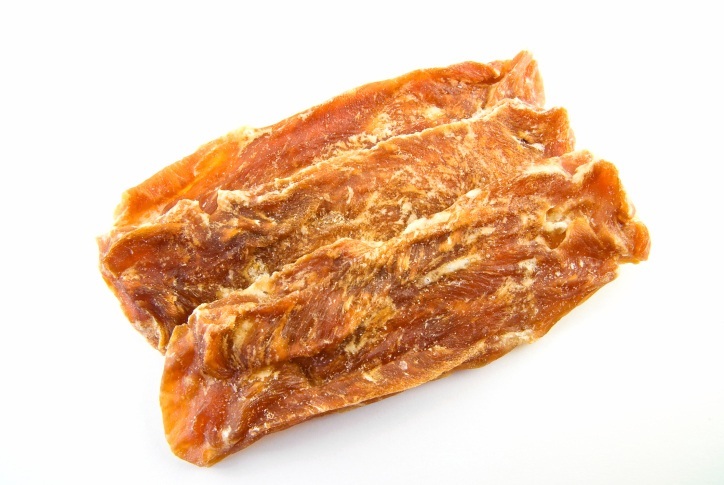 As of September 30, 2014, the FDA has received approximately 5,000 complaints of illness associated with consumption of chicken, duck, or sweet potato jerky treats, most of which involve products imported from China. The reports involve more than 5800 dogs, 25 cats, three people, and include more than 1,000 canine deaths. These numbers include approximately 270 complaints received since the FDA’s last update in May 2014. This is a significant decrease from the previous period (October 2013 to May 2014), in which the FDA had received 1,800 complaints. Because of the sharp reduction in complaints, the FDA is tentatively planning to shift from a biannual routine reporting cycle to issuing annual updates. This shift in reporting cycles does not mean that the FDA is reducing its effort to investigate the cause of these illnesses: the agency continues to devote significant resources to its investigation, and will post non-routine updates if notable events occur. 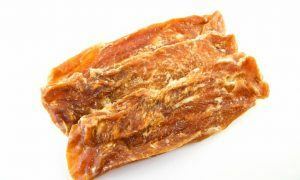 Although it is impossible to determine in every case whether the events reported were in fact caused by eating jerky pet treats, the FDA continues to believe that there is an association between some of the reports and consumption of jerky pet treats. The FDA continues to devote significant resources to this investigation and to work with its Vet-LIRN partners to gather and analyze new information as it becomes available. 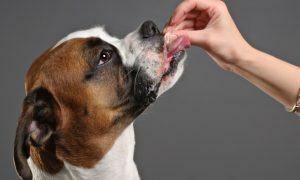 If your pet has experienced signs of illness that you suspect is related to jerky pet treats, please report it to FDA. While FDA does not necessarily respond to every individual complaint submitted, each report is valuable and becomes part of the body of knowledge that helps to inform our investigation. Hopefully the reduction in complains is because people are no longer feeding their pets things made or processed in China.